Get Your Drums Tuned by a PRO!  Upload Professional looking videos to YouTube, etc. I have been playing Drums Professionally since the age of 13! I am a member of the Vic Firth Private Drum Teachers Association & have owned my own studio since 2008. I come from a Family of Drummers. My Dad was a Master Drum Instructor who taught my Uncle, Brother, Me, and over 2500 students in a career that lasted close to 40 years. Much of that time I not only studied how to play, but was taught how to teach. I look forward to each lesson when I get to pay this gift forward! 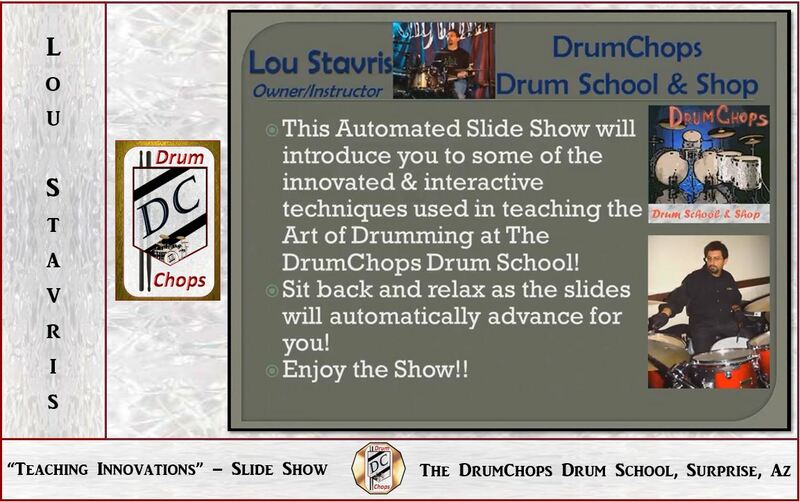 In this introduction video, Lou Stavris demonstrates techniques learned through a lifetime of study & provides information regarding the school. 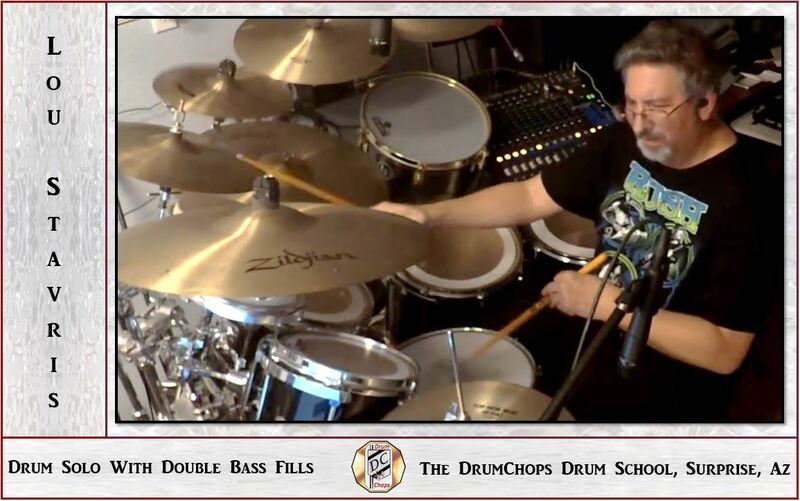 Here is a short Drum Solo with Double Bass fills recorded and edited at the DrumChops Drum School Studio. 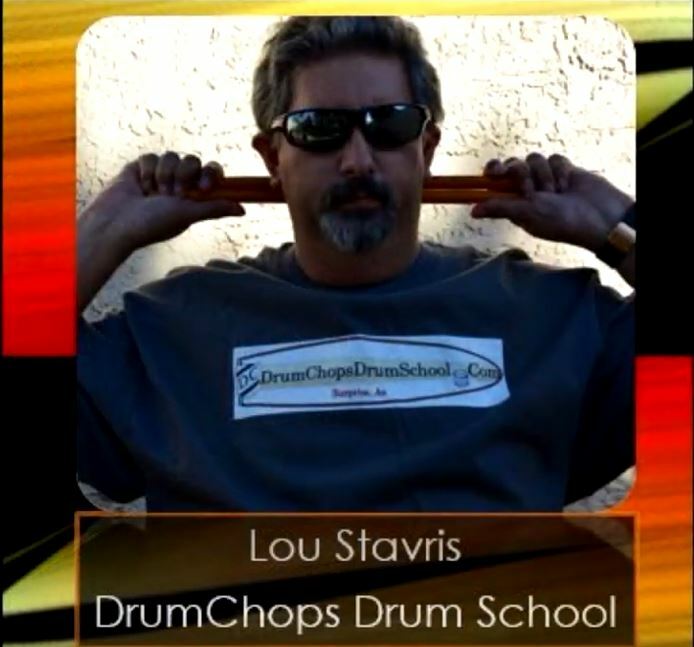 Lou Stavris Owner/Instructor @ The DrumChops Drum School - Covers The Pop Classic "Jenny, 867-5309"
Lou Stavris puts his spin on "The Connecticut Halftime". This monster rudimental piece is a classic and enhanced by Double Bass fills. 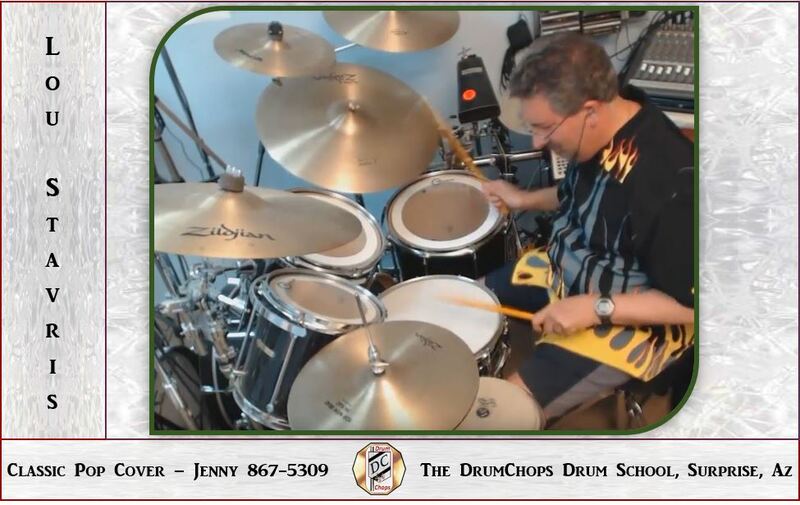 More On-Line Lessons, Demonstrations, Solos, and Cover Tunes Can Be Found on My YouTube Channel or Viewed From Direct Links on My Video Index Page! As an Educator, my ability to connect with students is my FIRST Priority! 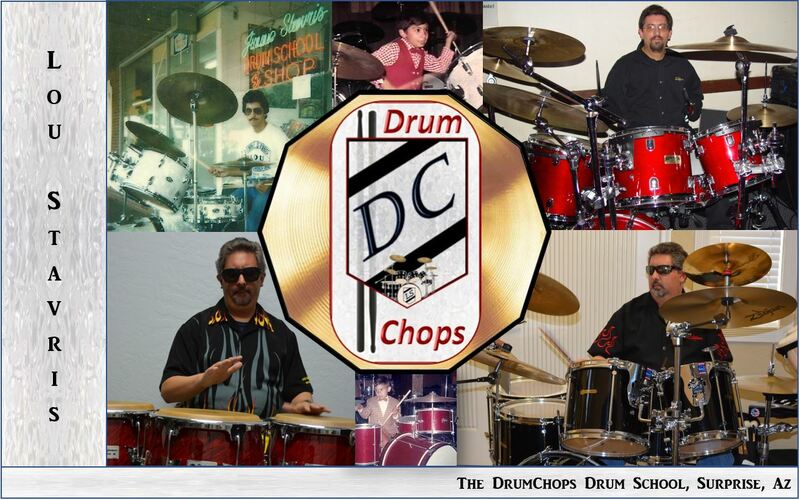 “This email is to let you know that I am thrilled that my student Diego P. Is taking lessons from you! After last week’s first lesson, he came to band happy to show me some of the things you worked on with him and seriously, he was already keeping better time! I’m hopeful that my other percussionists will note his improvement and his enthusiasm for your studio and investigate lessons as well!. 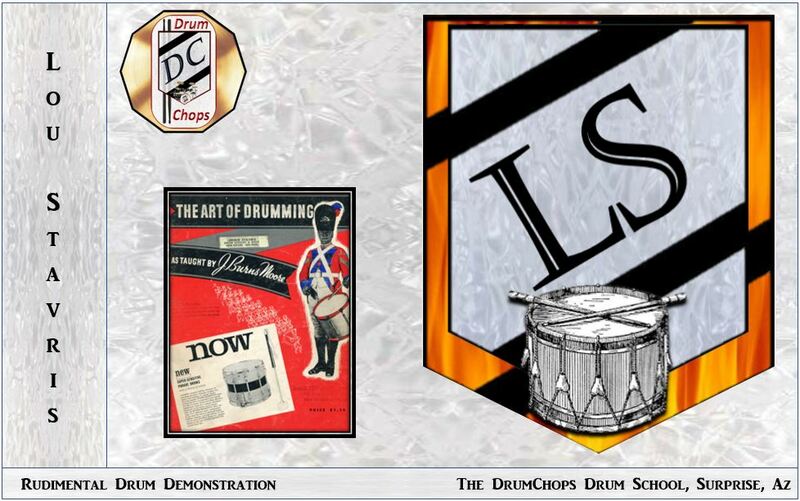 “Our middle school son has been attending private 1 hour drum lessons with Lou for a year. Because of Lou, he was the youngest drummer to make the Jazz band! Lou is a solid teacher. Always on time, and flexible to make-up missed lessons instead of going without, which my son loves. Lou’s studio is setup with two drum sets, giving the unique opportunity for student & teacher to work on new skills together on full acoustic sets.